Imagine my complete and utter disbelief when I realized yesterday that it’s been an entire week since I posted anything here. Quite frankly, I should be ashamed of myself. I mean, going a full week without so much as a stick figure drawing or a haiku is a level of laziness tantamount to hiding in bed with the covers drawn up over me as if the Boogeyman—no, wait, make that the Evil Lunch Lady—is waiting beneath my bed, ready to steal away my soul or, worse, force-feed me soggy school spinach until the End of Days. I did actually write a Thanksgiving day post for Hoperatives. You know, about local beer and whatnot. It’s kind of late now, of course, but if you’re interested in what I wrote, here a link. Go forth and read until your heart’s content (or you reach the end of the post, which is, frankly, the more likely of the two options). I had intended to write up a Weekend Debate for Saturday, to follow a Fiction Friday post on, you guessed it, Friday, but obviously neither happened. I was busy. Doing other stuff. Important other stuff. Maybe I was off saving the world. Fighting off an army of deadly insurgents driven by a maniacal, power-hungry, um, maniac with nothing but my wits, a suitcase full of secret agents, endless supply of weapons, and the full authority of the Government’s Sunrise Council. Also, a mackerel. I suppose that does rather stretch the bounds of believability, doesn’t it? The spy part, that is, not the mackerel part. Everybody knows the fish makes sense. As it turns out, what I really spent those days doing was something far less heart-pounding, but far more enjoyable. I wiled an afternoon away pounding Gumpas and Koopas as Mario and/or Luigi with my kids, the whole family decked the halls of la casa de Puddin with Christmas decorations, and yesterday I played my first ever real game of Magic: The Gathering with actual cards and everything. Mini-Me and I faced off in a duel of epic proportions, with me wielding a Red deck against his Blue while Eldest Son, who also recently got a deck a of his very own, looked on. It was a ridiculous amount of fun, and I see that we’ve just scratched the surface here. 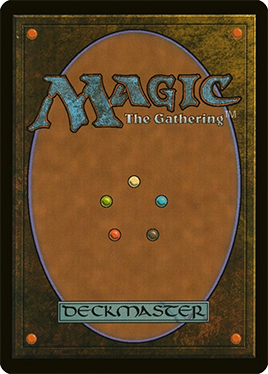 If you’re not familiar with Magic: The Gathering, it’s a fantasy-themed collectible card game where two or more players….well, here, go read about it somewhere that does it justice. Regardless, the underlying point is that I’m afraid I’m about to misplace a ridiculous sum of money that’s going to magically (see what I did there?!) turn up again in the form of Magic cards. And hey, if you’re a Magic player and happen to have some thoughts and/or suggestions for us, be sure to let me know in the comments, on twitter, facebook, Google+, or however! As for the past week (and the alarming lack of ramblings), whoops. I’ll try to keep from sliding off the pony anytime soon again. Long story short, though, I spent my holiday weekend having a good time with my kids, and for that I’m not even sorry. Hope you all had a great weekend too, holiday or otherwise!